Reaching us from Chatswood is simple. We have many dental patients from Chatswood and surrounding areas who come to us for our high quality dental care. We are confident most Chatswood residents wouldn’t mind a short trip to experience the exceptional dental services offered by Apple Dental! Arrive at destination, Apple dental is towards the left. In a quick 10 minutes journey, Apple Dental has transformed to Chatswood Dentist with the same quality of dental services from our team. Welcome to your new Dentist Chatswood! At Apple Dental, we are committed to provide you the high quality dental treatments including: Cosmetic Dentistry, Dental Implants, Teeth Whitening, Dental Hygiene, and Invisalign, etc. 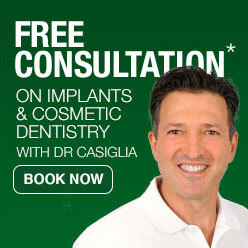 For more details, please feel free to contact Apple Dental on (02) 9420 5050. © Apple Dental 2019. All Rights Reserved.